I am still in love with Ashley’s chai spice blend. Yum! 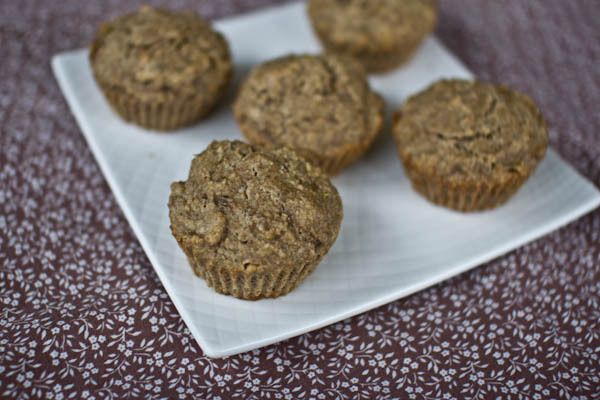 Every week I make a batch of clean and healthy snack muffins or cookies for Matthew to enjoy throughout the week. It’s an easy way for me to ensure that he is getting enough healthy fat, whole grains and fruits/veggies. Plus, I can pop a few in my purse for snacks away from the house without having to solely rely on organic dry cereal. 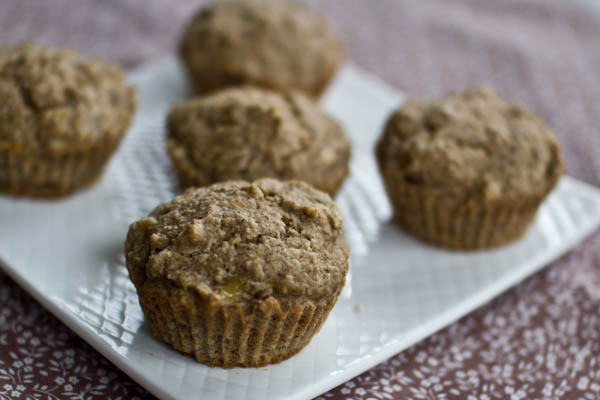 When I saw Heather’s recipe for banana applesauce muffins, I knew that I was going to use her recipe as a base for Matthew’s muffins this week. They were perfect: gluten-free, egg-less (we are running low), no added sweetener, simple ingredients list/everything on hand. 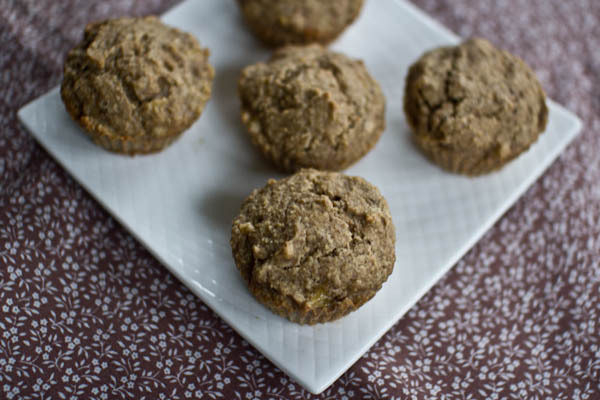 Matthew is in love with Chai Spiced Cashew Butter, so I wanted to incorporate the new-to-him chai flavor into these muffins. The resulting recipe is easy to whip up and perfectly spiced. 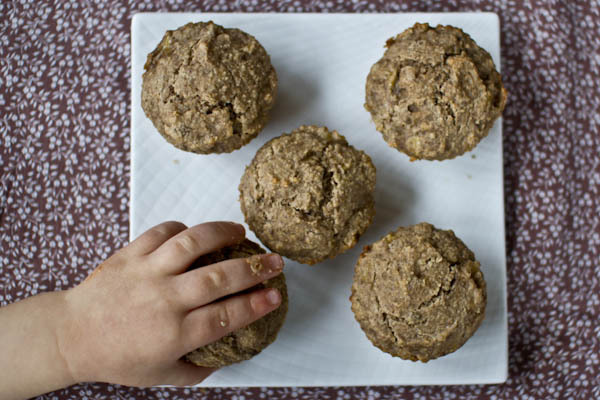 Matthew wanted to eat four Banana Chai muffins straight out of the oven! He could not keep his hands off of them during our photo shoot. 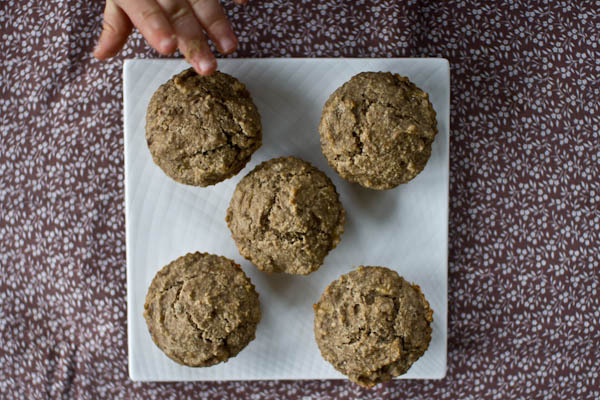 Now these muffins are not just for your hungry toddler, they would also make a fabulous adult breakfast accompaniment. 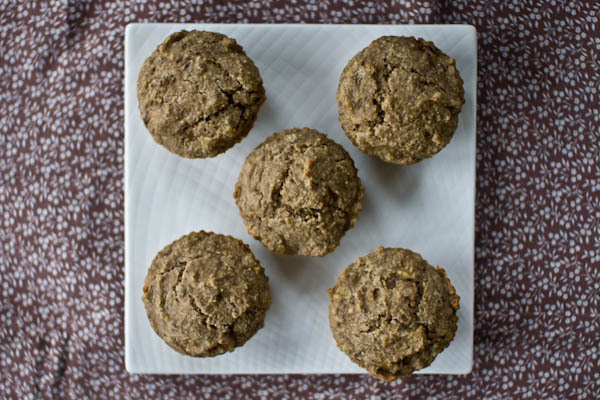 Scramble up a couple egg whites + an egg and serve two Banana Chai Muffins on the side slathered with 1 tbsp coconut oil along with one clementine for a complete breakfast. If you are in a hurry, combine 4 ounces low-fat greek yogurt with 1/2 scoop vanilla protein powder. 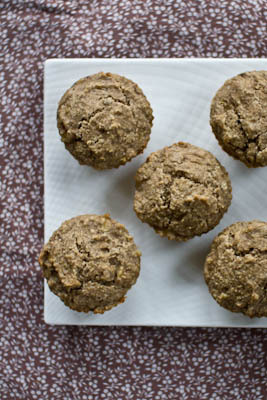 Spread this protein frosting on two muffins and head out the door. Preheat oven to 350˚. Line or grease a 12 cup muffin tin. In a medium-sized bowl stir together dry ingredients (oat flour, flaxseed, baking powder, baking soda and chai spice blend). 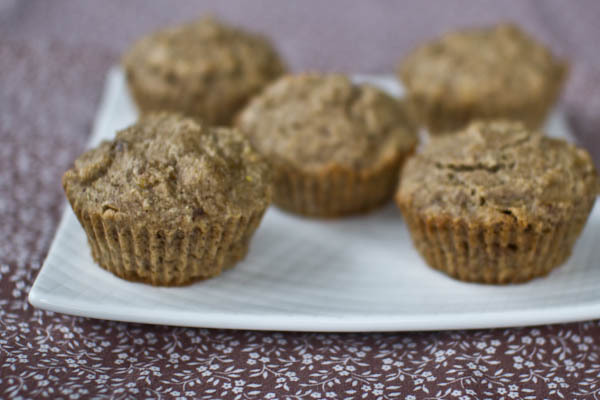 Using an electric mixer or stand mixer cream together wet ingredients (bananas, applesauce, water, coconut oil, cashew butter and almond extract). Add dry ingredients to wet and stir until just combined. Do not over stir. Bake in 350˚ oven for 18-22 minutes.